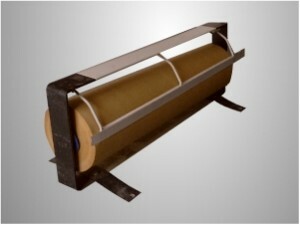 Manual Heavy Duty Brown Paper / Kraft dispenser. Features include: Durable steel construction; Spring loaded Cutter Bar; Able to be mounted / bolted into floor or countertop. Takes up to a 910mm wide roll.